Guttering is an essential requirement for your home in Sutton, Orpington, Bromley, Welling, Epsom, Mitcham, Croydon, Morden, New Malden, Dartford, Sidcup, Eltham, Thamesmead, Bexley Heath, Greenwich, Kent, South London and surrounding areas. At Sutton Windows, we offer superior guttering, designed to offer outstanding performance and many years of operation. This means that they are sure to be a worthwhile addition to your property, excelling across the board in both function and form. 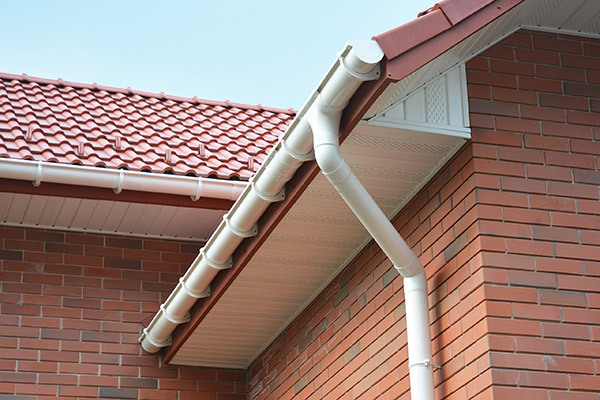 Our guttering is crafted from exceptional uPVC, which offers long term performance and is easy to maintain. You can opt for guttering grills to minimise the impact of falling leaves and nesting birds too, making your guttering work effectively with little intervention. We offer a selection of colours for your guttering, enabling you to create roofline which complements your home and your personal style. You can opt for traditional black, contemporary grey, or even fresh white to match the aesthetics of your property. Leaky guttering allows water to run down the outside of your home, seeping into your brickwork and damaging the structure. Replacement gutting will offer a superior performance, keeping your home safe from rain and saving you money in the long term. 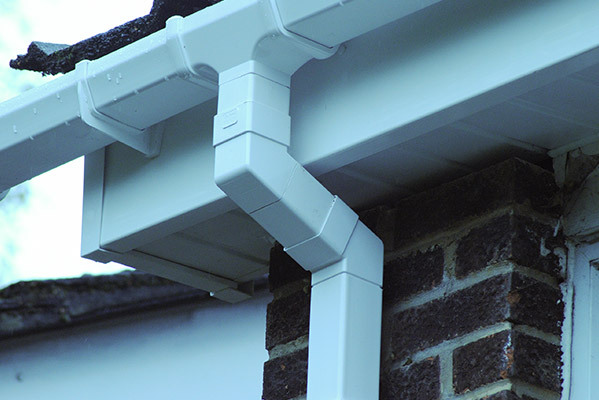 Our guttering is created with quality uPVC. It is completely recyclable, and it is so hard wearing, it is sustainable too, offering many years of performance. You can be confident that your home improvements are environmentally friendly. New guttering will enhance the style of your property, making it more appealing from the outside. Quality protection from the elements makes any property more desirable, as it shows it has been loved and cared for, ideal for anyone looking to sell in the future. Our high performance guttering can deal with many gallons of water, making it superior for protecting your home during the deluge of winter storms. This makes it cost effective, as not only are our prices great, but you will avoid expensive remedial work. Our guttering is designed to withstand even the worst of the British weather. It can cope with many gallons of rain water, ensuring that even in torrential rain, your home will be protected. It is specifically designed to last, ensuring that you won’t need to replace it for many years to come. If you are looking for tough and durable guttering, then choosing Sutton Windows for your home improvements will make sure you benefit from outstanding quality. We always strive to offer you a product that will prove to be a worthwhile addition to your home. New guttering may seem to be all the same, but it really is different with every installation company. At Sutton Windows, our guttering can be tailored with a number of innovative features. Our guttering is high quality and high performance, and has been precision engineered to offer maximum benefits. You’ll be able to enjoy all the benefits that come from premium materials and modern manufacturing. Due to the use of premium materials, our whole guttering range upholds an impressive degree of structural integrity. This means that even in the face of prolonged exposure to the elements, they will continue to maintain both their appearance and performance. You won’t have to worry about an inferior product proving to be detrimental to home comfort or aesthetic. We work with the very best products in the industry, and this enables us to offer lightweight yet tough guttering to our customers. Your guttering is fixed to the fascias of your home and it carries the weight of the run off from your roof. You need to be confident that it will not damage your roofline through becoming too heavy. Our lightweight guttering is ideal for offering exceptional performance combined with an innovative design which weighs as little as possible, lessening the strain on your roofline. This means you’ll be able to enjoy an extensive roofline lifespan, which will continue to deliver time after time. At Sutton Windows we offer expertly installed home improvements across the board. Whether you have a modern, traditional, heritage or period home, we’ll have the right guttering for you. 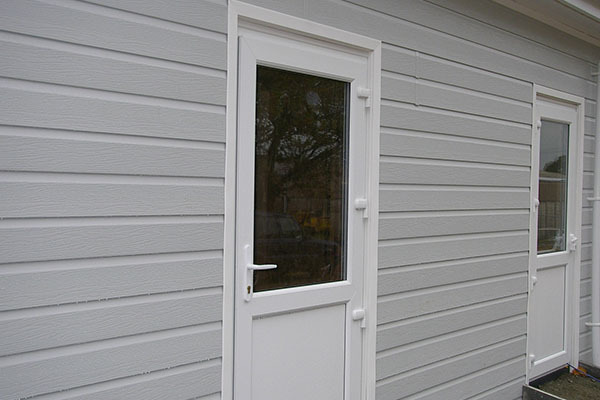 Our collection includes fascias and soffits as well as cladding options to enhance your home. Our guttering can be installed in combination with these products, or as a stand alone upgrade. This means you’ll be able to enjoy a comprehensive service from us, which we can easily tailor to suit the style and appearance of your home. Don’t settle for less. 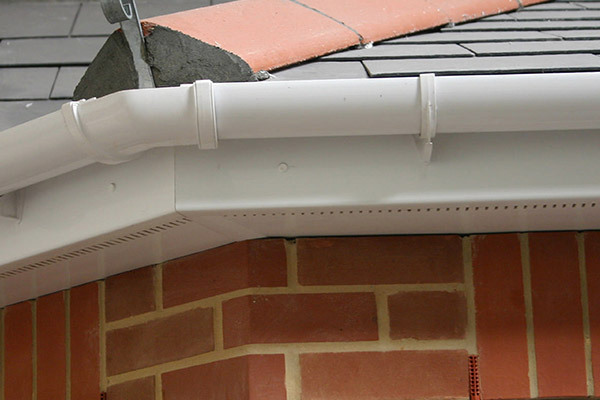 Our guttering is efficient to install, and our team of fitters are experts, ensuring quality work. In fact, every member of Sutton Windows strives for superb customer satisfaction. From the moment you contact us, we will put you first. Our commitment is to ensuring you can achieve the home improvements you want without any pressure or hard sell. Upon installation, our team will meet the highest health and safety standards, minimising hazards, so that you can get on with daily life. Our aim is to cause as minimal disruption. Our guttering prices are highly competitive. Use our innovative quoting engine below to get a free, instant and highly competitive price tailored to your specifications. Contact us for more information and we will help you choose your perfect home improvements. A member of our friendly team will be more than happy to answer any questions you may have.